Wholesale Handbags #WJ-54 This beige colored wool scarf has alternate waves of leopard and zebra print pattern in black & fuchsia colors with little bit of floral print also. Long twisted fringe at the edges. dry clean only. Imported. 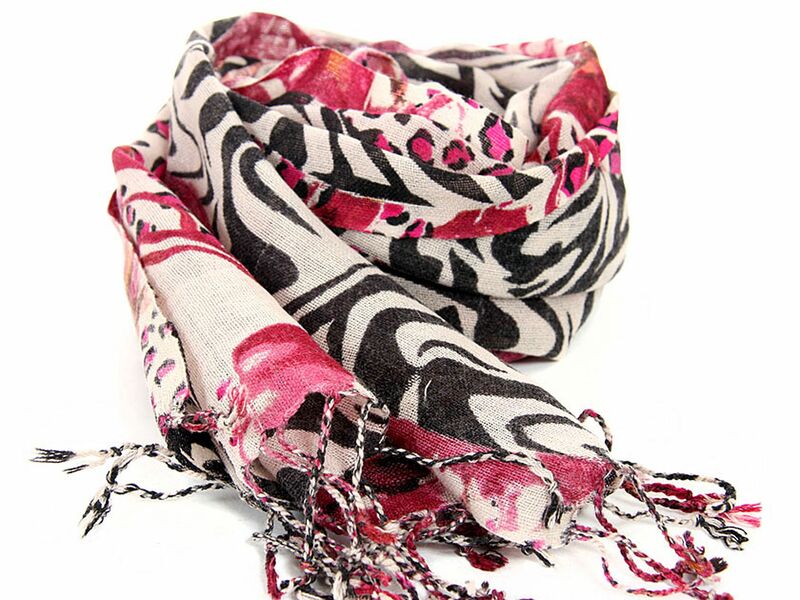 This beige colored wool scarf has alternate waves of leopard and zebra print pattern in black & fuchsia colors with little bit of floral print also. Long twisted fringe at the edges. dry clean only. Imported.